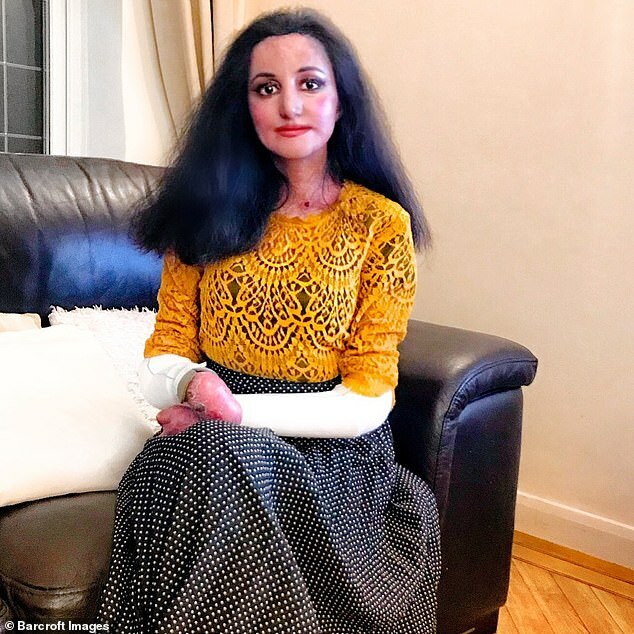 A woman who suffers from a rare condition known as ‘butterfly skin’ takes nothing more than paracetamol to handle the pain. 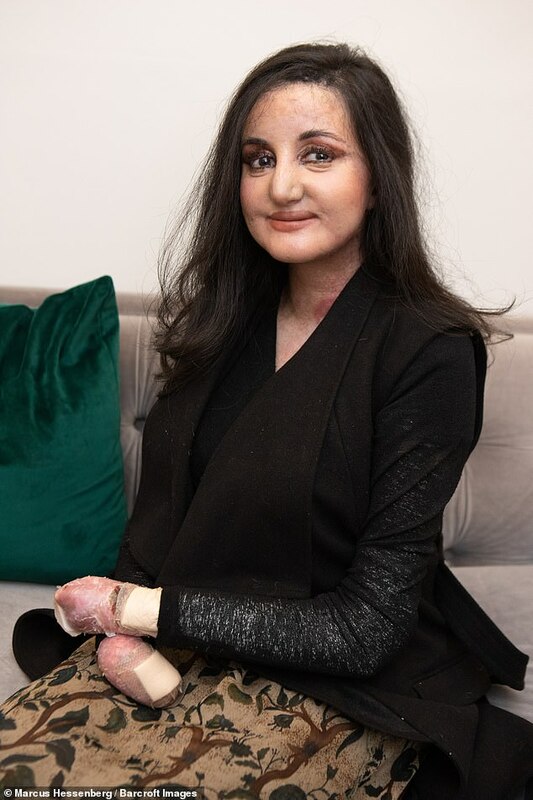 Myra Ali, 31, from Solihull, West Midlands, was born with dystrophic epidermolysis bullosa (EB), which causes her skin to break and tear as easily as a piece of paper. She endures pain on a daily basis and is always covered in bandages, taking an hour and a half to put on every morning. When she was younger, Ms Ali had full use of her hands. But over time, scar tissue between her fingers has fused them together making them ‘mitten-like’. 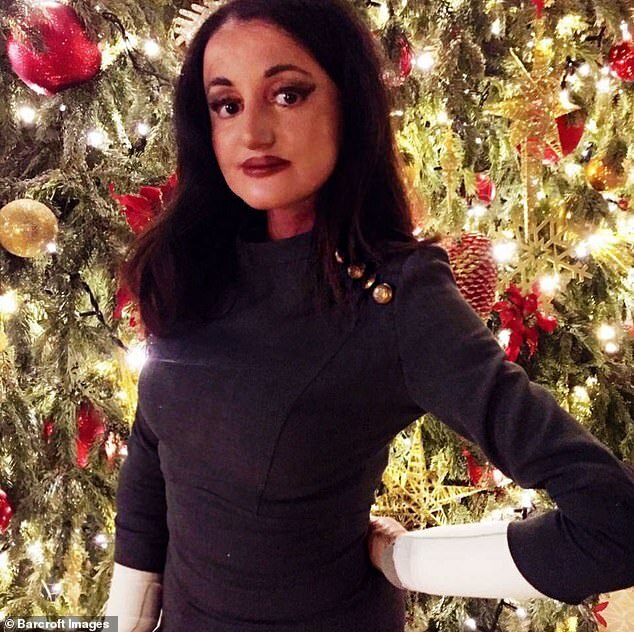 She has had surgery, lasting five hours, almost every year since she was a child, and several cosmetic procedures, including a non-surgical nose job and fillers. EB, affecting one in 50,000 people worldwide, occurs due to faulty genes, which can be inherited or occur spontaneously, and there is no cure. Ms Ali said: ‘My skin is really fragile and it can blister and tear quite easily. ‘I would say I am in pain most of the day. Whenever I take pain killers it helps ease it, but the pain doesn’t really ever go just because of the nature of the condition. 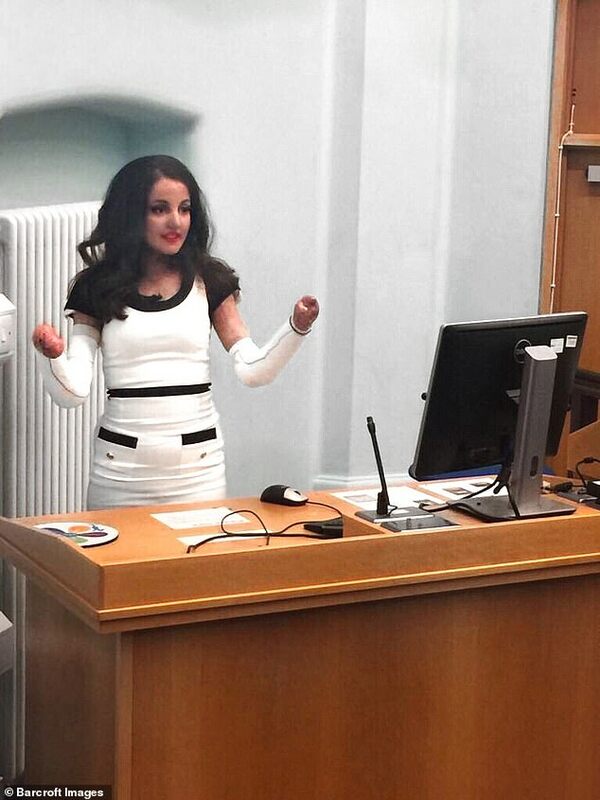 Ms Ali must dress her limbs before starting her day job as a translator for the Birmingham Women’s and Children’s Hospital NHS Trust. Relying on a roster of nurses that come to her home, as soon as some wounds start to heal, new blisters and breakages appear. Ms Ali said: ‘I wake up, I have pain killers, I have a shower and I have a dressing change and I will always be slightly rushed because the dressing change takes about an hour and half and then I get to work. ‘I have a few different nurses who come on different days but they all know about my condition and what is involved with a dressing change. Ms Ali’s first surgery on her hand was eight hours where the surgeon opened the whole hand. ‘But now my surgeon releases the thumb or a few fingers and that helps me get some dexterity back,’ Ms Ali said. 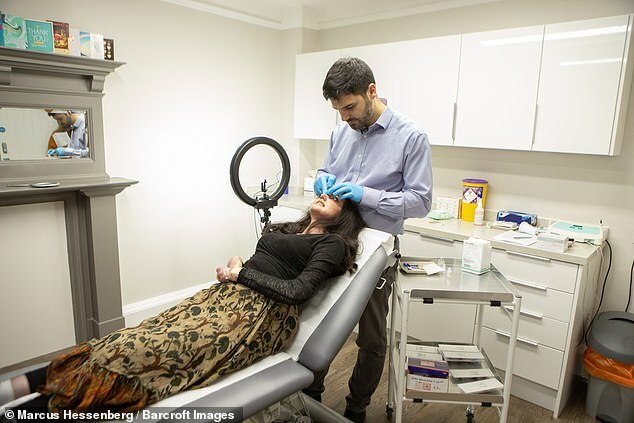 In spite of the many medical surgeries she has had, Ms ALi has also had several cosmetic procedures, including a non-surgical nose job and fillers. She said: ‘There is no extra risk with having EB and cosmetic surgery. The only risk there is, if you are in the wrong hands, your skin could blister. Epidermolysis bullosa (EB) is a general term used to describe a group of rare, inherited disorders that cause the skin to become very fragile. Any trauma or friction causes patients’ skin to blister. It affects around one in every 50,000 people worldwide. Around 40 per cent of sufferers do not survive the first year and most do not live beyond five years old. Most cases are obvious from birth. EB occurs due to faulty genes, which can be inherited or occur spontaneously. Treatment focuses on relieving pain and treating complications, such as infections or skin cancer. 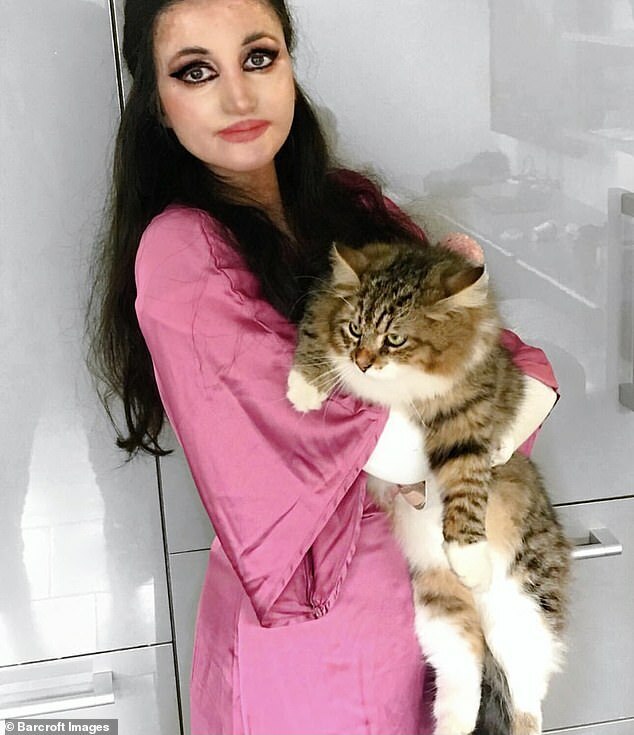 Ms Ali said the cosmetic procedures, which she has under the supervision of Dr Ayad Harb, a plastic surgeon who has worked with burn victims, have been a big boost for her self-esteem. She said: ‘It’s definitely enhanced my confidence and also it has made me feel like my EB doesn’t stop me. 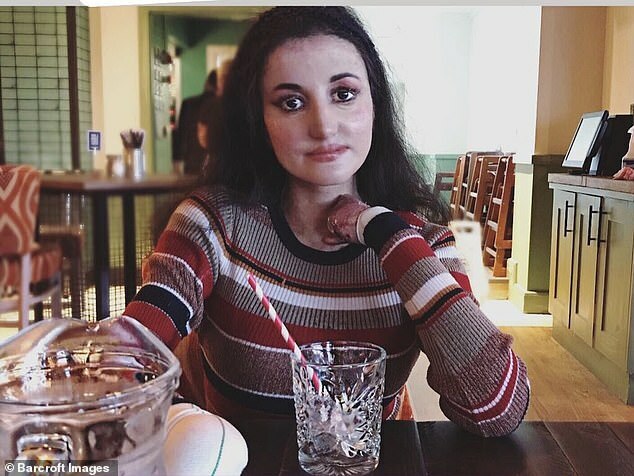 ‘Normally I have procedures done which are like hand surgery or eye surgery, which are done in an NHS hospital but when I come here, I am not coming here for my EB, I am coming for myself. Ms Ali enjoys motivational speaking and has spoken for EB charity DEBRA at gala dinners and hospitals and about her condition. 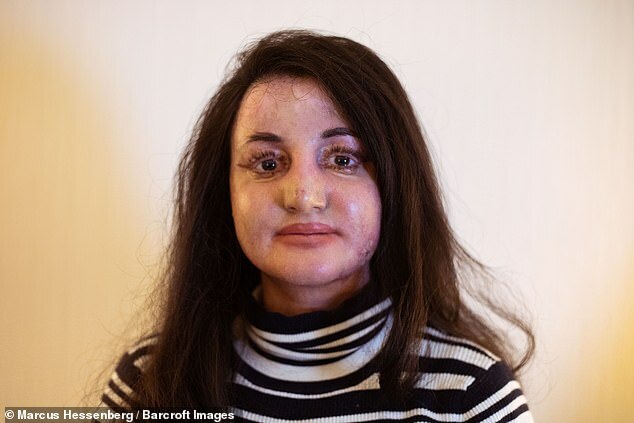 She also uses her Instagram account to inspire others and prove that having a skin condition doesn’t prevent her from celebrating her beauty. Ms Ali said: ‘There are many people all around the world who contact me on Instagram, either they have health conditions or they’re going through a bad time. ‘They tell me that they have gained a lot of strength from seeing what I do.